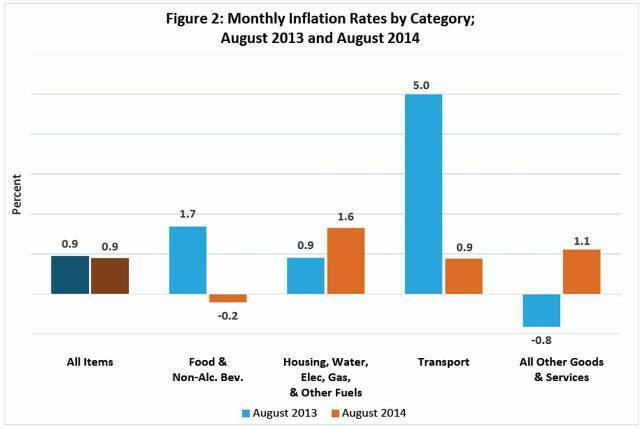 Food prices, often one of the primary drivers of economic inflation, saw a marginal decline in the month of August, with average costs decreasing in all areas save for fish and seafood. 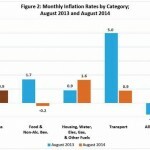 That’s according to the latest release from the Statistical Institute of Belize indicating that inflation slowed to zero point nine percent last month. 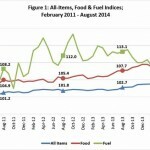 The consumer price index, however, when compared to the same time last year, shows a slight increase, from one hundred and two point seven to one hundred and three point six. The nominal increase is attributed to a rise in home rental prices, international airfares and higher insurance premiums. Home rentals across all municipalities rose by two percent from 2013. The cost of traveling abroad has also seen a sharp increase over the past few months but only three percent higher when compared to August 2013. Meanwhile, health and motor vehicle insurance rates were up three and six percent, respectively. In respect of last month’s imports, a total of a hundred and fifty-eight million dollars worth of goods was imported into the country, representing an increase of seven point six percent or eleven million dollars from August 2013. The spike is the result of the imports of foods and livestock, as well as chemical products which went up by five and a half million dollars, respectively. 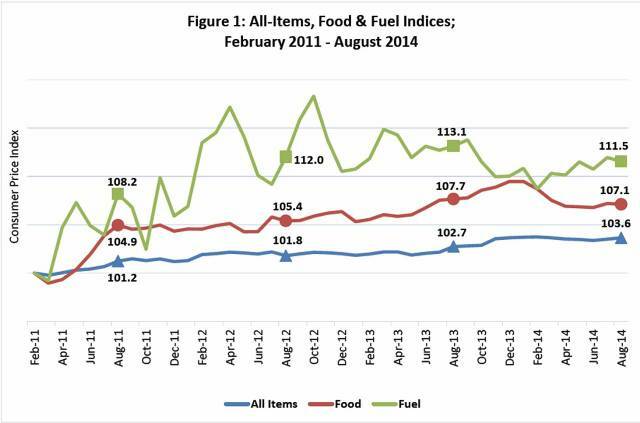 In the first eight months of 2014, Belize imported one point three billion dollars in goods, including fuels and lubricants which went up by twenty-one million dollars. Correspondingly, the importation of machinery and transport equipment increased by the same amount was bolstered by the purchases of delivery trucks and private vehicles. Domestic exports, on the other hand, went up by more than twenty million dollars or thirty-eight point eight percent for seventy-four point four million dollars in earnings in August.